(CN) – People in the southwest Amazon may have transitioned to cultivating crops like squash and beans far earlier than previously believed, a team of archaeologists in Brazil has found. The lowlands of the southwest Amazon, which encompasses parts of Brazil, Bolivia and Peru, is considered one of the key regions were plants were first domesticated in the Americas. A new study, published Wednesday in the journal PLOS ONE, suggests crops like manioc – an edible root – squash and beans could have been cultivated by people in the area more than 6,000 years ago. The team, led by Jennifer Watling from the University of Sao Paulo, looked at seeds and other plant materials at an archaeological site called Teotonio in the Madeira River Basin. The Madeira is one of the largest and most complex tributaries of the Amazon River, covering about 19 percent of the Amazon Basin. It’s also the area believed to be where a number of crops, including manioc, were first domesticated. The root vegetable also known as cassava is an important food staple for half a billion people in the world’s tropical regions. The new findings confirm genetic evidence that has already been collected, the team concluded. They also suggest people in the region might have transitioned from a hunter-gatherer lifestyle into an agricultural one earlier than previously believed. Teotonio is located on a bluff on the Madeira and had been a fishing village until a hydroelectric dam was built nearby in 2013. “Aside from being an unrivalled fishing spot, it was also the second waterfall in this stretch of river that could only be passed overland – a factor which would have made it an important trade and communication center from the earliest of times,” the authors wrote. The researchers consider it to be a “microcosm of human occupation” in the region, because there is evidence showing that people have continually lived there for around 9,000 years. In addition to the evidence of seeds and artifacts that people used to process food, the team also observed that forests and soil in the area showed signs of human alterations. 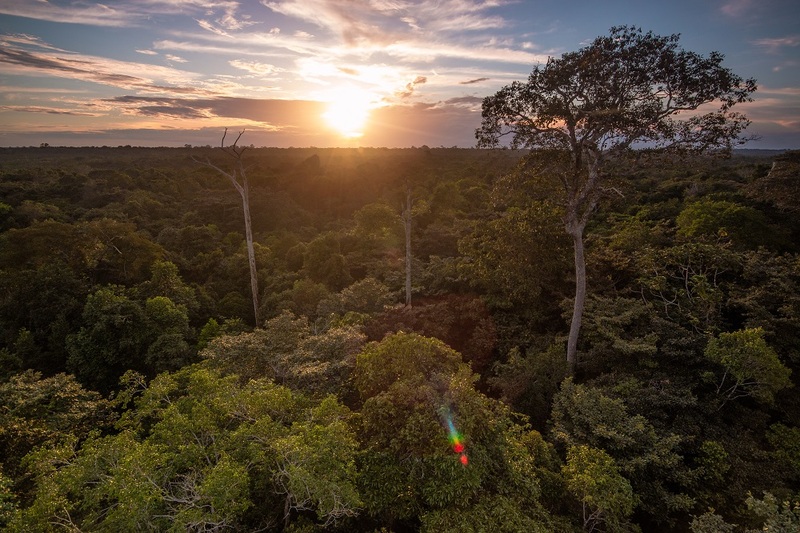 “Our data contribute to a growing body of evidence that places the upper Madeira and southwest Amazonia at the forefront of early cultural developments – not just in lowland South America, but within the Americas as a whole,” the team said.